“Everything we do creatively are just ways of expressing. It is a silent language, which is in direct communication with our interior. Observe, look, see, accept and even walk with indifferent look creative work gives a certain emotional and communicative burden to the work and enthusiasm on the holder”. Mirtya Huizzi (Merida, Venezuela, 1959) is a bioanalyst in the area of Medical Cytogenetics. His profession has perhaps left an imprint on his art, that which is not seen but only through the microscope, colorful shapes and endless textures. 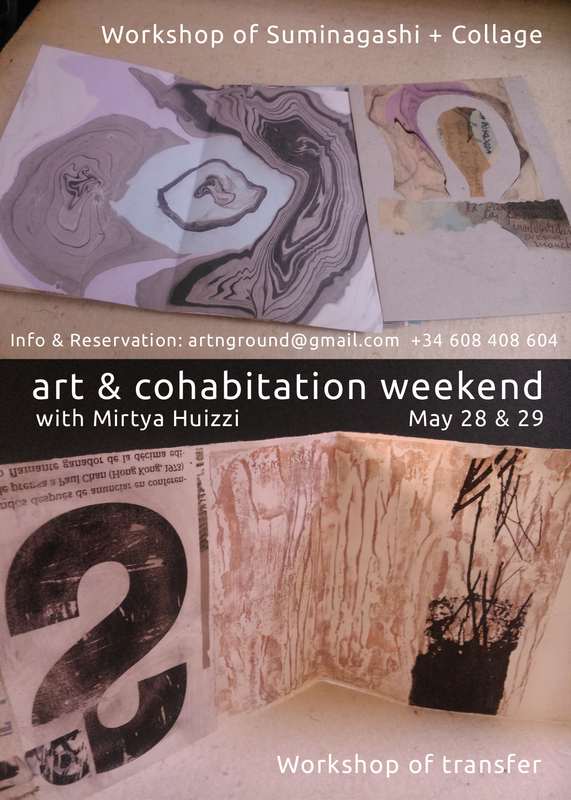 Mirtya Huizzi is an artist who has given many workshops and courses. Where the role is the soul of his work that draws on the research and experimentation of various technics mixture then tore into them. You can read some interviews that have made him Whohub or Asiray. You can also see some of his work as artist’s books or recorded ranging from aquatint etching, until the embossing. The Workshop TRANSFER & SUMINAGASHI will take place here at the residence of artists art N ground located in Cuevas del Rodeo, Rojales (Alicante). Mirtya Huizzi exhibited his work in the exhibition hall Mengolero last year, you can see your catalog here.